We’re not only about the cocktails here. We also get pretty excited about beverages in general, and appropriate glassware for those beverages. Whether or not a pineapple-cut highball is the most appropriate glass for this beer is beside the point. It feels nice to drink a nice drink out of a nice cup. We thought we’d share a little bit about why this beer, in particular, is special to us. “Not so long ago that I can’t remember I had the opportunity to visit the fantastic brewery that produces this magnificent Lambic beer. Lambic gets its name from the municipality of Lembeek , now part of the greater metropolitan area of Brussels. Lambics are spontaneously fermented ales, all the nasties get in there and give the beer their funk. Cantillon has been producing their beers in a super traditional manner for over 100 years not far from the centre of Brussels Grand Place. Wort is brewed predominantly from a wheat base and hopped with de-bittered or aged hops. The wort is then transferred to a large, shallow and open rectangular copper fermenting vessel at the top of the building. The room holding this vessel has slatted windows opened to allow the wild yeast of the Senne valley to do their thing. This results in a sour and very intensely flavoured drink. Gueze is the product of multiple “vintage” blended barrel aged lambics. Aged Lambic is super acidic with nearly all the sugar fermented out during the aging process. This aged Lambic is blended with younger sweeter beer and then bottled. The final fermentation process in bottle renders the beer just as sour but superbly effervescent, similar to a methode champenois. 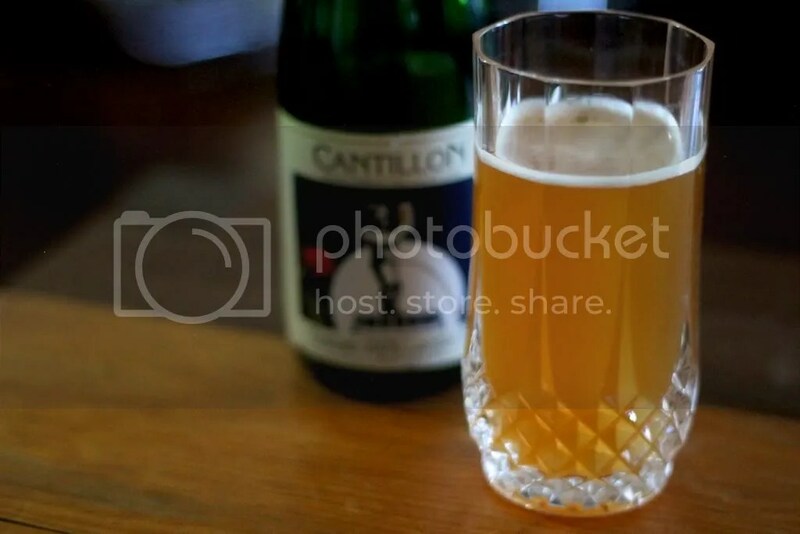 In 1999 Cantillon returned their production to full organic using only fully organic cereals and hops for their beers. The first 100% organic gueze was released in 2003 labelled “ecolabel” and certified by Ecocert.